In the bowl of an electric mixer fitted with the paddle attachment, cream the butter and sugar on high speed until light and fluffy, about 5 minutes. With the mixer on low speed, add the eggs, 1 at a time, scraping down the bowl after each addition. Add the vanilla and almond extract and mix well. Line a muffin pan with paper liners. Fill each liner 3/4 the way full with batter. Bake for 25 to 35 minutes, until the tops are brown and a toothpick comes out clean. Allow to cool in the pan for 15 minutes. Remove to a baking rack and cool completely. In a small saucepan bring 1/2 cup of sugar and the corn syrup to a boil. Slowly drizzle the sugar mixture into the mixing bowl with the eggs. The mixture should be on low speed until you finish drizzling in all of the sugar mixture. Once the entire mixture of the sugar is incorporated, add confectioners’ sugar and slowly add the butter peices. 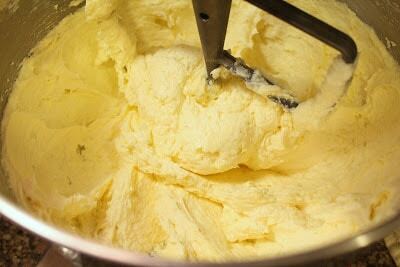 Only add more butter when you can no longer see the previously added pieces. It will go fast at first and then slow down. 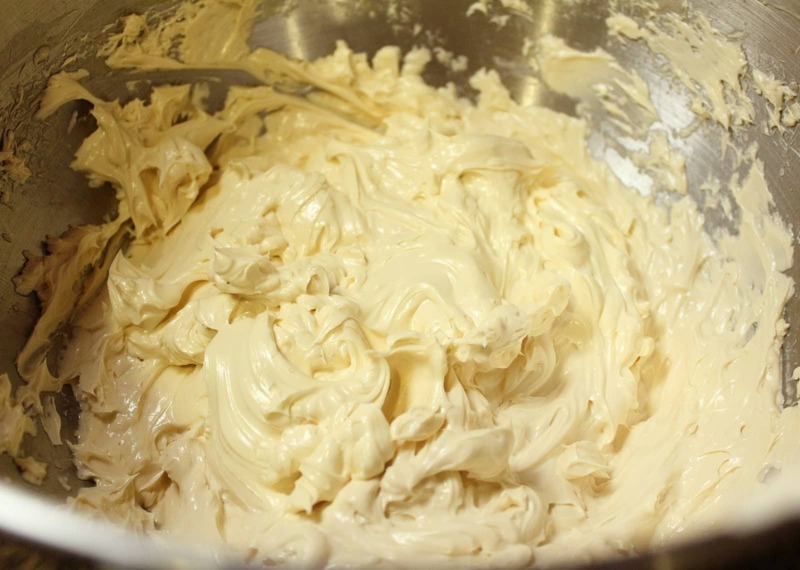 Continue to whip until the mixture is creamy. 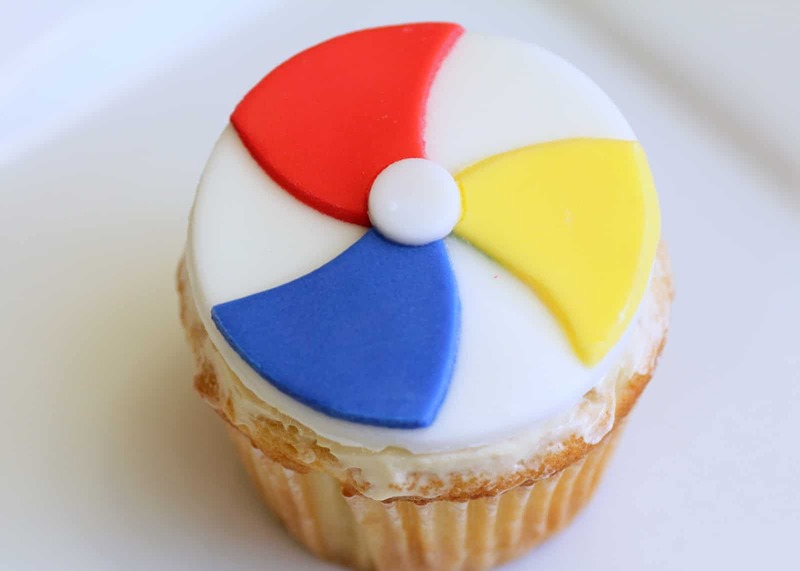 Spread over cupcakes only after they have completely cooled.